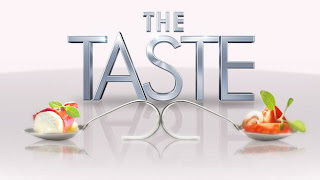 REVIEW PAGES: The Taste: Tuesdays at 8|7c on ABC! If you love to cook and indulge in delicious meals, this is for you! 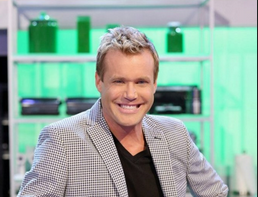 Are you addicted to cooking shows? How about one that is a VERY strong mix between Hell's Kitchen, Top Chef, and The Hunger Games? Who doesn't love a little drama in the kitchen? If this is you , why haven't you watched "The Taste" on ABC yet? It airs every Tuesday at 8PM EST\7PM CTR. From the very first episode, I was obsessed!! The show pretty much thrives off the format of "bling taste tests". All contestants, past and present have very different levels of cooking skills and knowledge. Which makes it even more interesting. from the amateur underdogs to the highly conceited and self-proclaimed, kitchen pros. This show is a fire cracker!! All four judges have have split contestants down into their own teams. Each individual team picks one contestant that will be judged by their dish and gain the gift to recieve the coveted immunity opportunity from elimination. The individual meal challenges prepared by the contestants are tasted by the judges in"spoonfuls", literally and judged accordingly based on creativity, challenge instructions, and the taste, hence the name of the show! Judges never know who has cooked what meal and so they may just end up eliminating they're very own team members...how exciting and oh so juicy for drama! Each week there are two contestants that go home. Ouch! It's hilarious to see the panel of judges poke fun at each other, talk trash, and throw verbal punches but it's all in good fun which is exactly what this show is....FUN! I give this show a 10 out of 10 and you should definitely check it out! Ludo Lefebvre: The creator of LudoBites, a guerilla style “pop-up” restaurant event occurring annually in Los Angeles, California. Lefebvre’s success is astounding. Recognized as one of the world’s 50 Greatest Chefs by Relais & Chateaux, he was also a nominee for the James Beard Foundation Rising Chef Award in 2001. In addition to his impressive resume, Lefebvre also appeared on Bravo’s Top Chef Masters, Food Network’s Iron Chef America, and The Today Show. Lefebvre was born in Burgundy, France in 1971. He currently resides in Manhattan Beach, California, with his wife, Kristine. Nigella Lawson: Nigella Lawson’s versatility is evident from her collection of best-selling books, hit television shows, and innovative apps for iPad and iPhone. In total, Lawson has written eight books, including Nigella Express, Feast, Nigella Bites, How to Be a Domestic Goddess, Forever Summer, Nigellissima, and Nigella Christmas. Her newest book, Nigella Kitchen, shares the name of her hit television series on Food Network. Born in London in 1960 to one of the most renowned politicians in Margaret Thatcher’s government, Nigel Lawson, Nigella graduated from Oxford University, where she went on to receive her masters in Medieval and Modern Languages. Currently, she resides in London with her husband, Charles Saatchi, and her children, Cosima and Bruno. Anthony Bourdain: My favorite judge, renowned chef, Anthony Bourdain is acclaimed for his New York Times best seller, Kitchen Confidential (2000). The impetus for this book was his earlier piece in the New Yorker, “Don’t Eat Before Reading This”(1999), which revealed the inner workings of New York City restaurants. His other works of literature include fictional crime novels, Bone in the Throat (1995) and Gone Bamboo (1997), and more recently, Anthony Bourdain’s Les Halles Cookbook: Strategies, Recipes, and Techniques of Classic Bistro Cooking. 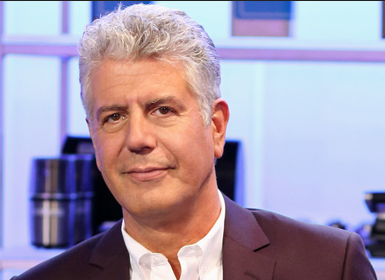 In addition to his extensive literary career, Bourdain also hosts the Emmy Award winning Travel Channel series, Anthony Bourdain: No Reservations, and previously appeared as a judge on Bravo’s Top Chef. Born in New York City in 1956, Bourdain graduated from Vassar College. 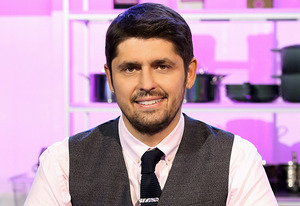 His passion for cooking was kindled in France, and has continued to grow while traveling abroad for his television series, unearthing the unique food of various regions. Bourdain resides in New York City with his wife, Ottavia, and daughter, Ariane. Brian Malarkey: Brian Malarkey’s flair in the culinary spotlight began in 2007 when he advanced to the finale of Bravo’s Top Chef Miami. Raised on a ranch in Bend, Oregon, Malarkey was influenced by the fresh seafood and produce of the Oregon countryside. His grandmother’s cooking also served as constant source of inspiration, and as a result, Malarkey enrolled in culinary school at Le Cordon Bleu in Portland, Oregon. In the last two years, Malarkey opened five restaurants in San Diego, including Searsucker, Burlap, Gabrdine, Gingham and Herringbone. Alongside partner, James Brennan, Malarkey hopes to open a total of fifteen restaurants as part of their Fabric of Social Dining venture, which capitalizes on the dinner party experience. He resides in San Diego, California with his wife, Chantelle. Images by ABC TV. Read More About Their Bios & How To Connect With Them HERE. Want to catch the latest episode of "The Taste:? CLICK HERE. I am totally in love with your blog's header. That lipstick is fierce!